We design Aqueduct Education Project programs to support NYS learning standards. Here are some of the guidelines that we use. However, these programs often support other learning or content standards that are not listed here. Use your best judgment about how these programs relate to your teaching goals. Feel free to make suggestions about how we can adapt programs to your specific needs. 2.1.d Population density, use of the land and environment, and the availability and extent of public services, such as education and health care, are some of the chief characteristics that define and distinguish these types of communities. 2.2.b The development, growth, and sustainability of an urban, suburban, or rural community is closely tied to its interactions with other communities. 2.5.c The location of physical features and natural resources often affects where people settle and may affect how those people sustain themselves. 2.5.d Human migration and settlement patterns impact all communities. 2.5.e Access to natural resources, water routes and other transportation networks, and other communities impact life in an urban, suburban, or rural community. 2.8.a Local and state communities have changed over time for a variety of reasons including transformative events, population shifts, economic changes, and the interaction with and use of the environment. 3.10 People living in communities around the world depend on, adapt to, and modify their physical environments in different ways. 3.10.a The physical environment can both accommodate and be endangered by human activities. 3.10.b World communities use human and natural resources in different ways. 3.10.c Advancements in science, technology, and industry can bring about modifications to the environment and can have unintended consequences on the environment. 3.11.a People in world communities use legends, folktales, oral histories, biographies, and historical narratives to transmit cultural histories from one generation to the next. 3.13 Communities, countries, and regions around the world make use of natural resources to meet their needs and wants. 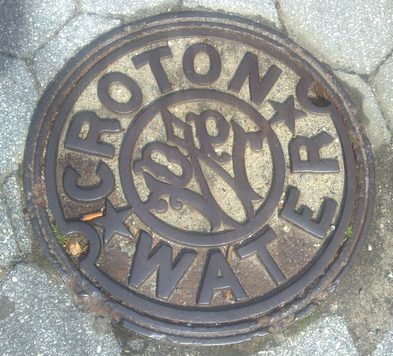 The Old Croton Aqueduct runs through the center of each river town from Croton-on-Hudson to Yonkers. This underground structure is at the heart of local history — a must-see for fourth graders! We recommend Program 2 (Water for New York), 3 (Blood, Sweat, and Tears), and Program 5 (Plastic Oceans). These programs support the following fourth grade key ideas and conceptual understandings. 4.4 The geography and natural resources of New York affect where and how people live. Humans have modified their environment by altering the physical landscape and harvesting or mining natural resources. have adapted to and altered the physical environment in New York. 4.10.d Population shifts and urbanization have also placed pressure on New York to provide needed community services and resources to its urban and rural centers. 4.10.e Urbanization and industrialization have had an impact on the natural environment in New York, resulting in pollution and the need for environmental protection efforts. We recommend Program 2 (Blood, Sweat, and Tears) and Program 3 (Muddy Water). These programs support the following fifth grade key ideas and conceptual understandings. 5.2.d Human settlements modify the physical landscape and environment by creating transportation systems, industries, and methods to harness and control natural resources. 5.6.b Growth of industrialization led to the development of urban areas and shifted populations and centers of wealth. 5.9.a The concept of justice suggests that the rules of the government should be applied equally to all people. 5.9.b Groups of people, particularly groups of women, Native Americans, African Americans, and other cultural, ethnic, and racial minorities in Western Hemisphere countries have responded to inequality and injustice with a variety of tactics. 5.9.c Citizens find ways to confront and challenge their government. We recommend Program 2 (Blood, Sweat, and Tears) and Program 3 (Muddy Water). At this grade level, we focus on the interpretation of primary documents related to the social history of the dam. Students work in teams to follow a map around the site to different points of interest. Each point of interest will feature a challenge that requires students to analyze archival documents. The Muddy Waters program can be facilitated at the Keeper’s House in Dobbs Ferry or at your school. It is a springboard for the New York State History Day program. We design programs for seventh and eight graders that support the development of the following analytical skills. 1. Gathering, interpreting, and using evidence from primary documents related to local historic structures. 2. Identify, select, and evaluate evidence about events from diverse sources (including written documents, works of art, photographs, charts and graphs, artifacts, oral traditions, and other primary and secondary sources). 3. Analyze evidence in terms of historical context, content, authorship, point of view, purpose, and format; identify bias; explain the role of bias and audience in presenting arguments or evidence. For seventh graders, the Blood, Sweat, and Tears program is designed to cover and reflect the following theme of inequality and resistance as it related to 19th century work environments where immigrants, African Americans, women, and children enjoyed little to no legal protections or the right to organize unions. 7.7 REFORM MOVEMENTS: Social, political, and economic inequalities sparked various reform movements and resistance efforts. Influenced by the Second Great Awakening, New York State played a key role in major reform efforts. 8.2b Population density, diversity, technologies, and industry in urban areas shaped the social, cultural, and economic lives of people. 8.2c Increased urbanization and industrialization contributed to increasing conflicts over immigration, influenced changes in labor conditions, and led to political corruption. 8.2d In response to shifts in working conditions, laborers organized and employed a variety of strategies in an attempt to improve their conditions. 8.2e Progressive reformers sought to address political and social issues at the local, state, and federal levels of government between 1890 and 1920. These efforts brought renewed attention to women’s rights and the suffrage movement and spurred the creation of government reform policies. We engage seniors in conversations about public policy by asking them to historicize a contemporary issue related to water. Students make their owns choices about what issue to explore, what questions are most important to address, and how to express an argument or point of view about this issue. This program supports the following key ideas. 12.G5 PUBLIC POLICY: All levels of government—local, state, and federal—are involved in shaping public policy and responding to public policy issues, all of which influence our lives beyond what appears in the Constitution. Engaged citizens understand how to find, monitor, evaluate, and respond to information on public policy issues. 12.G5a Each level of government has its own process of shaping, implementing, amending, and enforcing public policy. Customarily the executive branch will outline its plan and agenda in an executive address to the legislative body. 12.G5b On various issues, certain governmental branches and agencies are responsible for determining policy. Those who create public policies attempt to balance regional and national needs, existing political positions and loyalties, and sources of political power. 12.G5c Successful implementation of government policy often requires cooperation between many levels of government, as well as the cooperation of other public and private institutions. Conflicts between different levels of government sometimes emerge due to different goals, ideas, and resources regarding the creation and implementation of policy.